When the gums are thin and weak due to a lack of strong attached tissues, gum recession can occur. When recession occurs, both gum tissue and bone are lost and the root becomes exposed. The root is soft and if it remains exposed for long can begin to abrade(wear down) and will eventually disappear. This can lead to sensitivity, decay or even damage to the nerve. 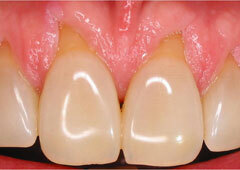 If enough root structure is lost due to abrasion the tooth will weaken and in severe cases, the tooth can break. 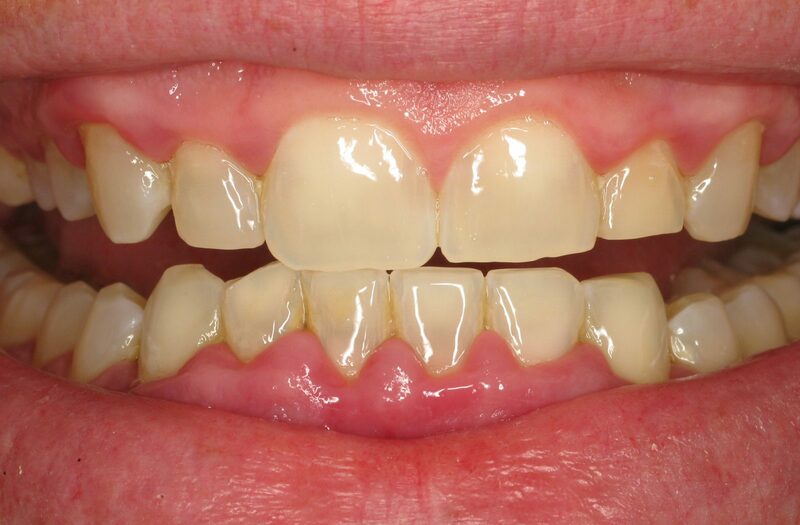 When gum recession is noted, gum reconstruction using grafting techniques is a great option. 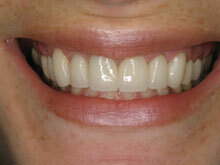 A symmetrical gum line contributes to an attractive-looking smile. Healthy gums form a tight seal around your teeth to protect the roots and bone from the entry of harmful bacteria. 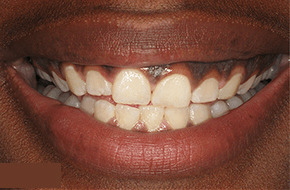 However, over time, the gums may begin to recede for a variety of reasons. This recession is commonly associated with both bone loss and tissue loss. This can significantly expose a tooth root, creating an uneven gum line. 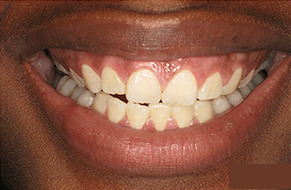 The tooth may also appear to be longer than the neighboring teeth, and may become the focal point of attention. More importantly, the exposed root surface places the tooth at an increased risk for tooth sensitivity, daily pain, and discomfort. An exposed root also leaves the tooth susceptible to root decay and periodontal disease, which can lead to infection and premature tooth loss. These potential consequences can be avoided by a grafting treatment that is performed to cover the exposed root. This tissue graft may be performed utilizing your own oral tissue or with specialized donor tissue. With special care and attention, the exposed root is then covered and the graft is secured in place to allow proper healing. Root coverage procedures will protect your teeth and greatly enhance your smile. Increased functional load, i.e. 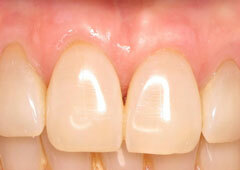 supporting teeth for bridges or partial dentures with thin tissues. Often times when there is only minor recession, some healthy gum tissue is still present to protect the tooth, so no additional treatment other than modifying preventive plaque control practices is necessary. However, when recession and root abrasion reach the mucosa (loose, moveable tissue), the first line of defense against bacterial penetration and the tougher gingiva (gum tissue) is lost. In addition, gum recession often causes root sensitivity to hot and cold foods, and excessive recesstion may cause a “long in the tooth” appearance. When severe, gum recession can predispose the area to root gouging and decay, as the root surface is softer than enamel. 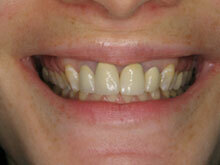 Gingival grafting is designed to solve these problems. How is gingival grafting performed? A thin piece of tissue is taken from another site in the mouth (or gently moved over from adjacent areas) to provide a stable band of attached tissue around the tooth. The graft may be placed in such a way as to cover the exposed portion of the root. The gingival grafting procedure is highly predictable and results in a stable healthy band of attached tissue around the tooth. On occasion, various other forms of biological membranes can be used instead of palatal donor tissue to accomplish the same goals of root coverage, toughening the attached tissues and recovering the exposed root surface. 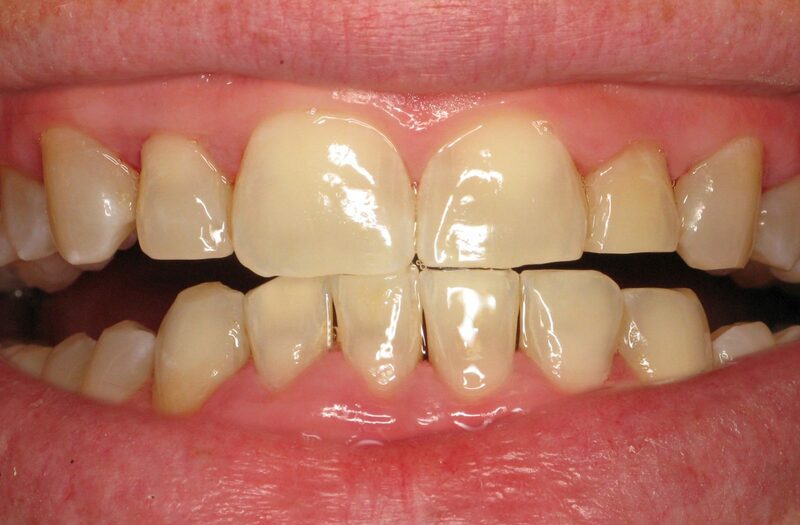 Finally, previously restored root surfaces (either bonded or crowned surfaces) can sometimes be grafted to cover the exposed root surface and cosmtically to eliminate the “long tooth” look.